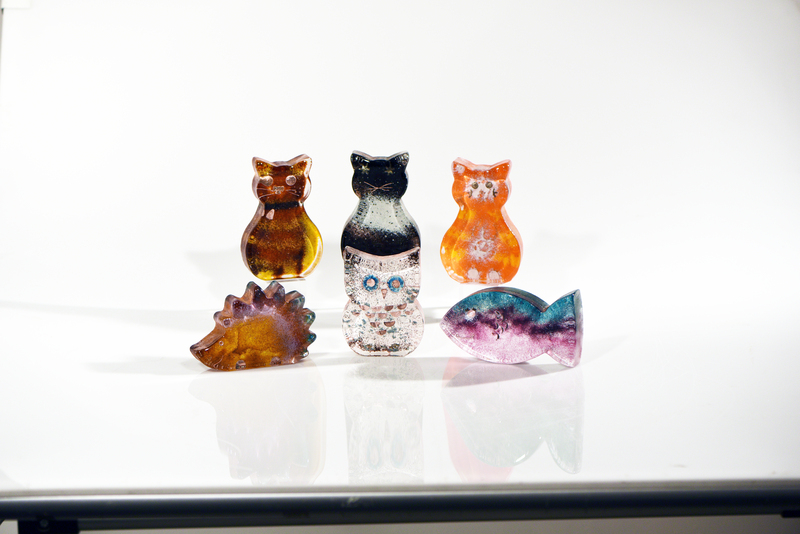 Create a glass cat, hedgehog, fish or owl using sand to make a mould. Add your own colour and decoration to make your design unique. Watch as your design is transformed by our studio team who will pour molten glass into your mould to produce your own individual, animal-themed piece of art!. Please note – Sandcast objects have a textured/sandy surface on the reverse and edges and may contain bubbles. Sandcasts will be available to pick up 1 week after your session.